Lifestyles of the Rich and Sleazy. The Memorial of Saint Monica. • Psalm 33: 12-13, 18-21. • Sirach 26: 1-4, 13-16. 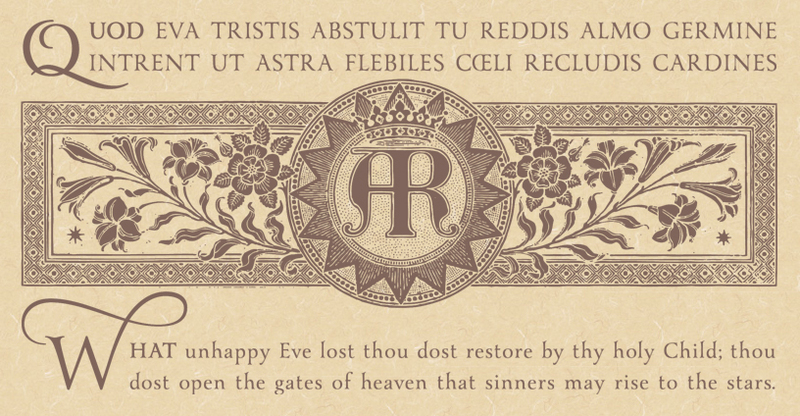 …or, any lessons from the common of Holy Men & Womean for Holy Women. • I Corinthians 4: 17—5: 5. 10:03 AM 8/27/2016 — We have been looking at Saint Paul’s mostly failed tour of Greece and, should you pick up these letters and read them through, you’ll notice that one of the underlying themes to which he returns again and again, both here in First Corinthians and in his previous correspondence to the Thessalonians—which he wrote while he was in Corinth—is how everything we do that is good is actually done by Christ working through us. Today's lesson is, perhaps, the most direct statement of this truth: “If anyone boasts, let him make his boast in the Lord” (I Cor. 1: 31 Knox). He's actually quoting there from Jeremiah 9: 23. He has good reason to hammer away at this point because of his experiences in Corinth, upon which we reflected yesterday. In the lessons the last few days prior to today's, which we really didn’t look at in detail, the Apostle had been talking about the paradox of the Cross. Yesterday he drew a rather insightful comparison between what he called “the wisdom of this world” (v. 20) and the simplicity of the Christian's faith in the Cross. Keep in mind what we had observed about the city of Corinth when Saint Paul arrives there: it's the largest commercial center in the world, and everybody from all over the world is there; its intellectual life, such as it was, was centered on the emerging musings of the Greek philosophers. Paul, remember, had failed to convert the Greek philosophers during his stay in Athens prior to arriving in Corinth; so, perhaps here he finds an opportunity to twist the knife a little with the devotees of Socrates. As we observed yesterday, Paul's converts in Corinth came from every walk of life, but most of them from the lower classes; they wouldn't have been welcomed at the cocktail parties of the intellectual elite debating Xenophon and Plato over their cucumber sandwiches; nor would they want to be, as Paul reminds them to simply open their eyes and see how unhappy and unfulfilled all these “beautiful people” are. In yesterday's lesson, he asks them, “What has become of the wise men, the scribes, the philosophers of this age we live in? Must we not say that God has turned our worldly wisdom to folly?” (v. 20 Knox). Now, understand that when we set out to decipher—and that's the right word—what Paul is saying in these letters, we're taking a gamble. Paul would visit these places, establish the Church there, then move on; and, as he was traveling along to the next mission, he would stop at various places and check his messages, kind of like how people would sometimes stop at an Internet cafe to check their e-mail in the days before smart phones;—if anyone remembers what an Internet cafe is—and, if he got a message that there was some problem back in one of these places that needed correction, he would fire back a letter to that effect. The problem for us is that we only have one side of the correspondence; the Apostle is answering questions and handing down decisions, but we can only surmise from his words what question was asked or what dispute needed to be decided. Consider, brethren, the circumstances of your own calling; not many of you are wise, in the world’s fashion, not many powerful, not many well born. No, God has chosen what the world holds foolish, so as to abash the wise, God has chosen what the world holds weak, so as to abash the strong (1: 26-27 Knox). In other words, you don't want to be like them. What makes you “wise”—if that's the word you want to use—is Christ; which leads up to his punchline: “Whoever boasts, should boast in the Lord” (v. 31 NAB). Consider the saint whose memorial we observe today: Saint Monica spent her whole life praying for the conversion of her son. We don't know for sure if she lived long enough to see him baptized; she certainly was already gone when he becomes a bishop, and had to watch from heaven to see him become one of the Church's greatest theologians and defenders of the Faith; remember Father Michael’s Second Rule for the Interior Life: never expect to see the results of your efforts. Saint Augustine’s memorial we would celebrate tomorrow were it not displaced by a Sunday. But during all those long and difficult years she had to watch him bounce from one esoteric philosophy of life to another, always searching for the truth, but always thinking that the truth had to be something profound and sophisticated, until he went to Milan and heard the simple and straight-foward preaching of Saint Ambrose, who opened his eyes to the Truth of the Gospel. Beátus pópulus quem elégit Dóminus in hereditátem sibi. That's the response to today's Psalm: “Blessed the people the Lord has chosen to be his own” (Psalm 33: 12 NAB). *** Let the beautiful people—the relevant people—have their life; what we have is much better. 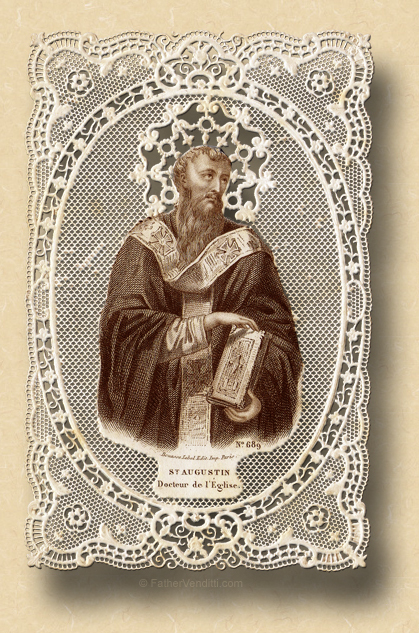 * Born of a noble Spanish family, Joseph Clasanctius was famous for his charity toward children, founding the Order of Clerks Regular of the Poor Schools of the Mother of God, known popularly as the "Piarists," for the education of youth. He died at the age of 92 in 1648. ** Not to be confused with Pimen I, Patriarch of Moscow, nor the 12th century iconographer of the same name, Saint Pimen the Great was born about the year 340 in Egypt. He went to one of the Egyptian monasteries with his two brothers, Anoub and Paisius, where all three received monastic tonsure. The brothers were such strict ascetics that when their mother came to the monastery to see her children, they did not come out to her from their cells. The mother stood there for a long time and wept, and St. Pimen said to her through the closed door of the cell, “Do you wish to see us now, or in the future life?” St. Pimen promised that if she would endure the sorrow of not seeing her children in this life, then surely she would see them in the next. Their mother was humbled and returned home. His biography is replete with many stories of a pious nature regarding advice to other monks. He died at age 110 about the year 450. 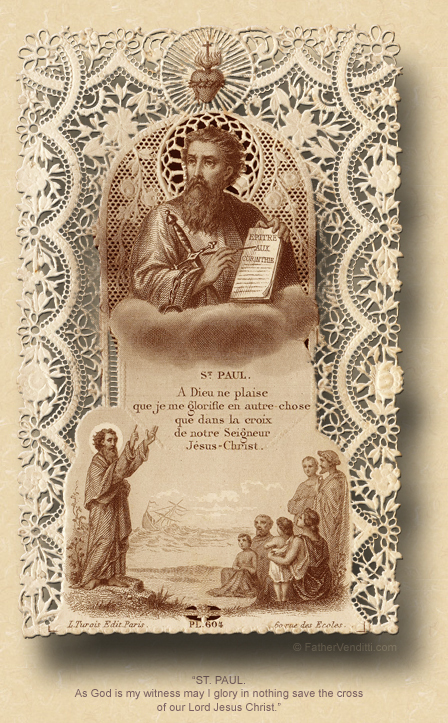 Special Note: Both of the holy cards displayed with this post are supreme examples of the French holy card industry of the 19th and early 20th centuries, featured prominently on this site this year. While this site has often displayed examples of exquisite hand-painted cards, both of the cards on this page were produced by the Turgis company in Paris, and both—believe it or not—were mass produced, with the particular image identified by the number printed discretely in small characters on the face of each card.